Everybody Stop For A Minute! Did Ed Sheeran Just Tell Us He's Married? Ed Sheeran has never been one to be coy... and accidentally revealed in an interview that he's married! Watch the exclusive video here. 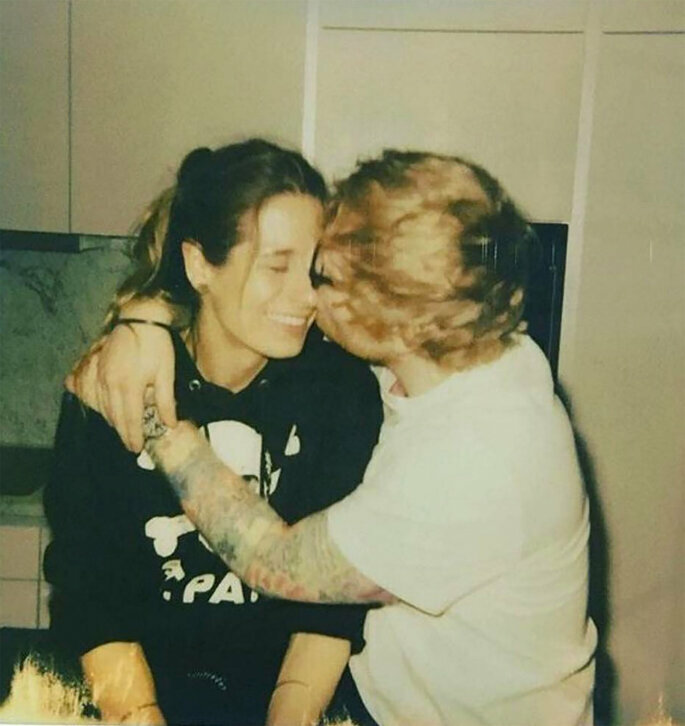 Seven months after announcing his engagement to his girlfriend of 3 years, Cherry Seaborn, via a photograph on Instagram, it appears that Ed Sheeran is now a married man according to an interview that was televised on Access, an American television panel show. Sheeran is one of the world’s most famous pop singers. Last year, his album Divide had astounding success, becoming the biggest selling album worldwide for the year, and the singer himself has won a huge amount of awards – too many for us to list here at any rate! His romantic, universal lyrics have resonated with listeners in every corner of the globe, and we are so pleased he has found it for himself! Sheeran has always been notoriously tight-lipped about his relationships and private life, and when questioned on Access about the date and location of his wedding, or if he was going to be singing at the reception (! ), he remained silent, giving a small grin. Indeed, as if he didn’t quite know how to play the situation, Sheeran then pointed at a ring on his left hand, and started giggling. The journalist interviewing Sheeran reacted with the same enthusiasm that any of us would at being the first to uncover this fantastic news! He said – “It’s great… This is so exciting! Congratulations my friend!“, and then immediately questioned the singer about how he managed to keep such big news under wraps! Sheeran gave a typically cheeky and coy response – “I never make anything too public anyway“, he explained. 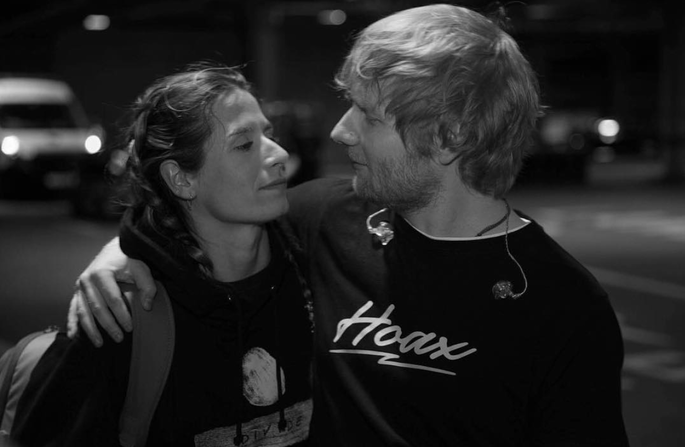 Sheeran and Cherry Seaborn – who is a very talented hockey player – have been friends since they were teenagers, when they attended the same secondary school in Suffolk, in the South East of England. And whilst Sheeran gave up on his studies to pursue his musical career – something that has worked out immensely well for him! – Seaborn obtained a degree in molecular biology, working now as a consultant for Deloitte. After their relationship became public knowledge in 2015, fans realised that many of Sheeran’s songs were inspired by his relationship with Seaborn – most famously, Perfect, one of the top-selling tracks of 2017. It has also been revealed that the couple’s desire to spend more time together away from the limelight was the inspiration for Sheeran’s year away from the industry in 2016. So watch here the moment that Ed Sheeran apparently reveals that he is already married! Given that the critically-acclaimed pop star has already had his ceremony, can we expect any photos to be released soon? We doubt that any of the tabloids will be able to get ahold of them – but everyone lets keep an eye on Ed’s Instagram account for any revelations over the next few weeks! 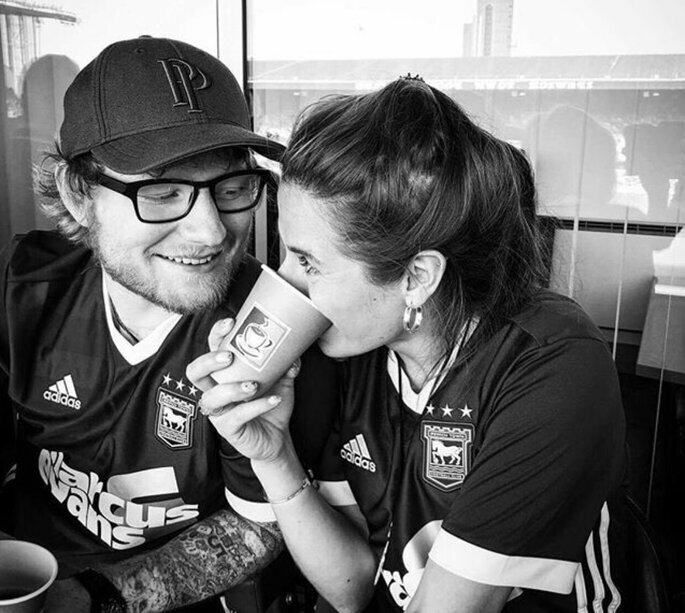 We wish Ed and Cherry the absolute best in their future together as a married couple – and we can’t wait to hear some new music from the singer about their relationship!